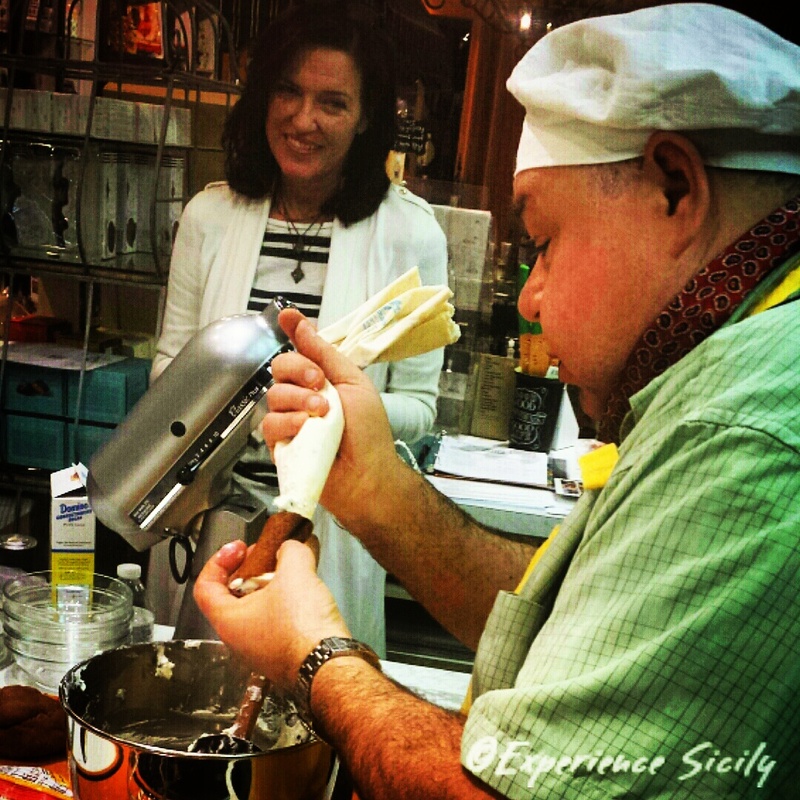 In anticipation of our September 2016 Stirring Sicily cooking experience, tonight, Nino Elia and I hosted a cooking class on cannoli and sfince di San Giuseppe at Zest!, a gourmet cooking store in Lititz, PA. We had a fantastic time, and valuable support from Gelsomino Imports and Zest!. Stirring Sicily, which is from 15 September to 22 September, features hands on cooking classes of traditional Sicilian cuisine led by GoSicily cooking experience. Contact me today at allisonscola@experiencesicily.com. Cannoli! Oh my goodness. Look at that drizzling chocolate! Yum! Not exactly gluten free, but we can work something out for you Dana! There are a lot of gluten-free choices in Sicily, yes, I’m just not sure that cannoli qualify! There is gluten-free gelato though, this I know. Very important! Gelato it is then. But I can get chocolate in other forms!